Believe it or not, driving with too little air in your tires can be risky for more than just your well-being. It can jeopardize other parts of your car and even wreak havoc on your budget without compromising any of your hardware. 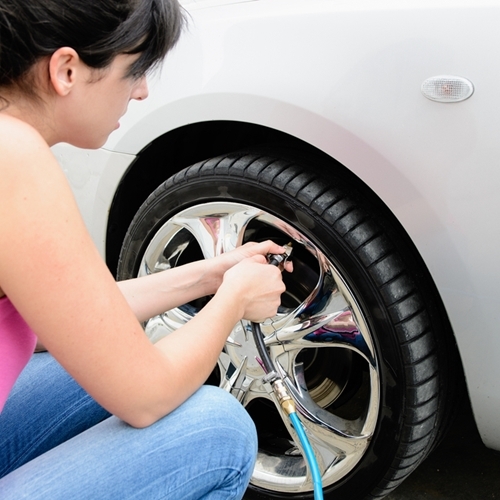 Luckily, inflating your tires is quick and simple with a tire gauge, an air pump and a little time. Make sure you're consulting your owner's manual to find the exact pressure. By keeping the amount of air at this level, you'll be dodging a lot of these road troubles. 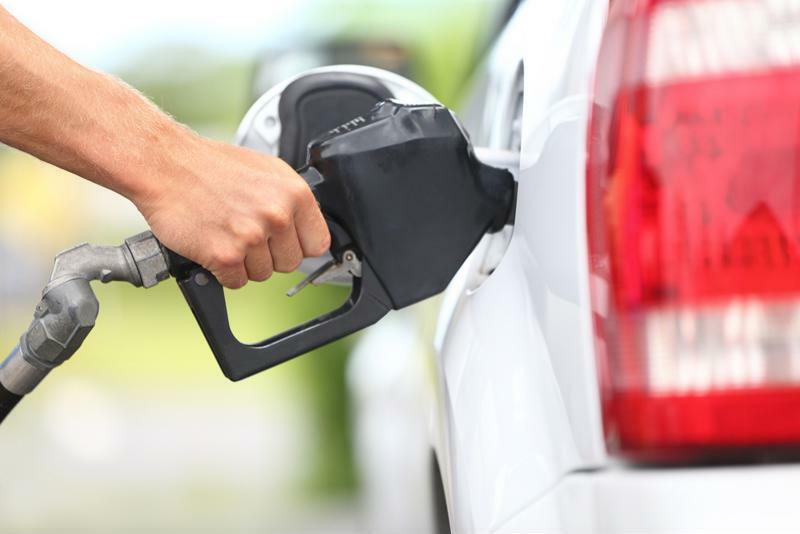 As soon as you take to the road on underinflated tires, you'll be feeling some pocketbook pain at the pump. According to Cars.com, a drop of 6 psi can make a sedan's fuel economy drop by 5 percent. That can mean sacrificing a couple miles per gallon, which will add up quickly during any commute. Underinflated tires will immediately affect your gas mileage. You won't be kicking yourself at the pump if you get a flat before filling up again, though. Popular Mechanics noted that underinflating your tires is the easiest way to kill them. The inner pieces of the tire don't function well without the correct air pressure. This can spell immediate trouble if you're normally hauling heavy cargo, too. If the tires are severely underinflated – any pressure 20 psi under the suggested amount – you may experience a blowout sooner rather than later. Blowouts mean paying more to get the tires replaced, or getting into an even more dangerous situation. After all, it's not the easiest to control a vehicle that suffers a popped tire at highway speeds. The reason owner's manuals suggest such precise tire pressures is because the equipment is made to have the highest contact with the pavement and greatest efficiency at that level. Underinflated tires cause performance issues, the most dangerous of which is increased stopping distance. 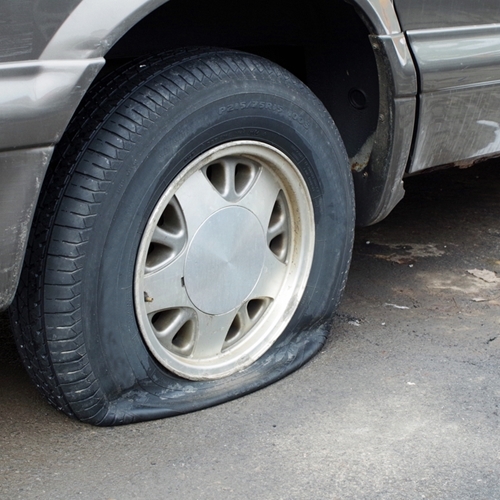 On underinflated tires, you may roll a few extra feet after slamming on the brakes. In an emergency, every inch matters, and those extra feet could mean nicking a bumper or getting into a worse accident. "A 6 psi drop can cause tires to degrade 25 percent faster." 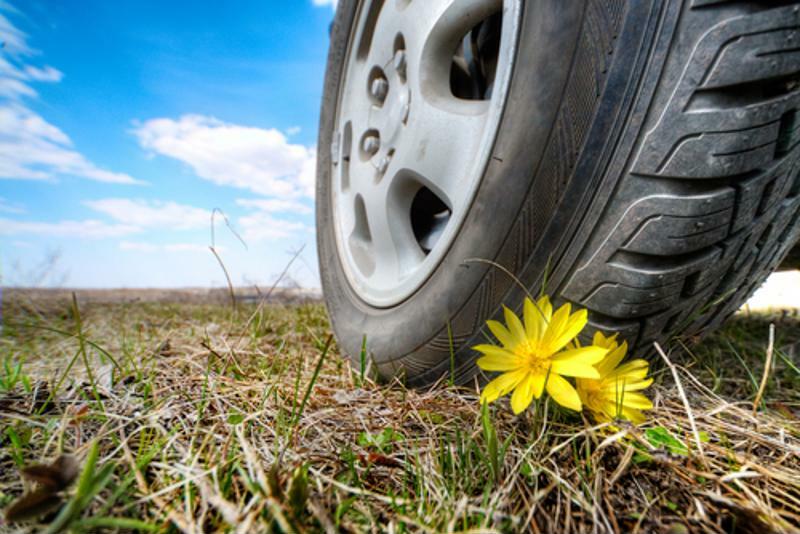 Even if your tires don't blow out, having too little air in them will cause them to break down quicker. Cars.com explained that underinflation will cause greater wear on the treads toward the sides of the tire. In the case of a Honda Accord the source used as an example, a drop in 6 psi would cause the tires to degrade roughly 25 percent faster. Keep your tires inflated at appropriate levels to lengthen the lifespan of your equipment and keep some extra cash in your pocket. Don't let deflated tires stand between you and a care-free road trip. Especially with used cars, maintenance and extra care is critical for safe, cost-effective driving. For all your budget friendly, secure driving needs, visit www.njstateautoauction.com. Shopping for a used car has gotten a bad reputation over the years. Images of unreliable cars and questionable loan practices may be enough to put squeamish first-time buyers off from heading to the dealership altogether. The reality is that choosing a pre-owned vehicle to buy doesn't have to be a major source of stress. There are plenty of tools available today for savvy shoppers to do their research so they can head to the lot with plenty of knowledge, ensuring they drive away with the best deal. Of course, preparedness is an important part of shopping for any major purchase, and a used car is no exception. As the old saying goes, "Let the buyer beware," but with these helpful car-shopping tips, you'll have little to fear when you start making your decision. In general, if you're shopping for a used car, there's no reason to not go the certified pre-owned route. These are vehicles that must meet a certain performance criterion by the manufacturer before they can be sold, which means that they receive thorough multi-point inspections before you drive off in one. Certified pre-owned vehicles often have extended manufacturer's warranties in addition to the dealer guarantee, giving you additional peace of mind. The amount of extra money you tend to pay for a certified pre-owned vehicle is negligible compared to the potential headaches you'll save down the road. 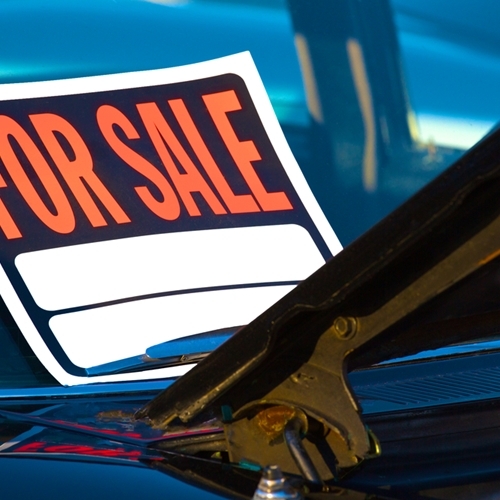 Just be wary of dealers that claim to sell certified pre-owned cars but actually don't. Remember that only a licensed manufacturer franchise can sell certified pre-owned vehicles. In other words, if you aren't on a franchised Volkswagen lot, for example, that certified pre-owned Jetta you're ey​eing probably isn't. Certified pre-owned vehicles give you extra peace of mind when you make a purchase. Recalls are a common enough occurrence in the automotive world that they aren't cause for any particular alarm bells when you hear of them in the news. But if you're shopping for a car, you should start paying attention to recall reports so you can compare them against the vehicles on offer at the dealership. For example, ABC News reported that auto giant General Motors is currently on the receiving end of a U.S. Federal Trade Commission investigation. The company was accused of certifying pre-owned vehicles for sale on used car lots that were subject to factory recall. The news source went on to state that while selling a new car with an unfixed recall is illegal, there is currently no legislation similarly banning the sale of used cars with unaddressed issues. But just because this circumstance is legally defensible doesn't mean it's a situation you want to encounter when shopping for your car. "Any major regional weather events can have implications on the quality of car you're getting." Believe it or not, the part of the country you live in may affect how you go about shopping for used cars. Specifically, any major regional weather events can have implications on the quality of car you're getting. One example from a local Texas ABC News affiliate cited the region's recent extreme rainfall and flooding as a concern for car buyers. The National Insurance Crime Bureau noted that around 10,000 cars had been water-damaged by flooding, and that some of those cars may potentially end up on used car lots. As a consumer, it falls to you to do your research into whatever vehicle stands out to you. 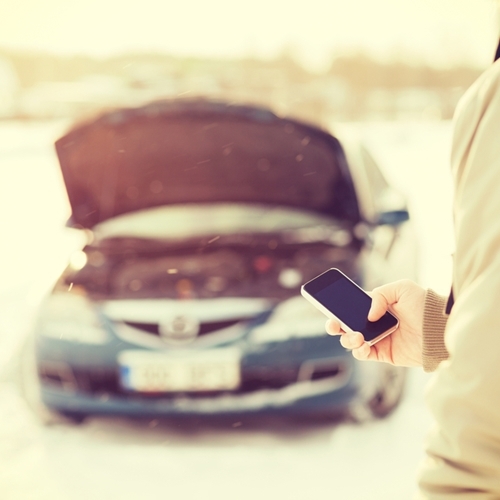 Be sure to ask the dealer for any car's Carfax report and recent work history, as this will let you know if you're dealing with a car that may have had a run-in with the elements. 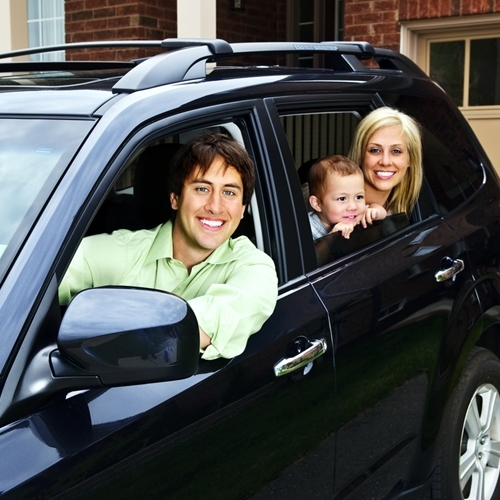 When you're ready to purchase a high-quality used car, head to New Jersey State Auto Auction. You'll find hundreds of Carfax-certified cars on the lot, and a helpful staff to ensure you end up in the vehicle of your dreams. Owning a car is a big responsibility. While your wheels certainly endow you with a sense of freedom and independence, there's also much that you need to be aware of as a vehicle-owner if you want to avoid spending tons of money on repairs. Of course, cars are incredibly complex machines, and mechanics spend years learning the literal ins and outs of automotive repair so they can help you keep your ride on the road. But there are a few basic things that every driver should know. 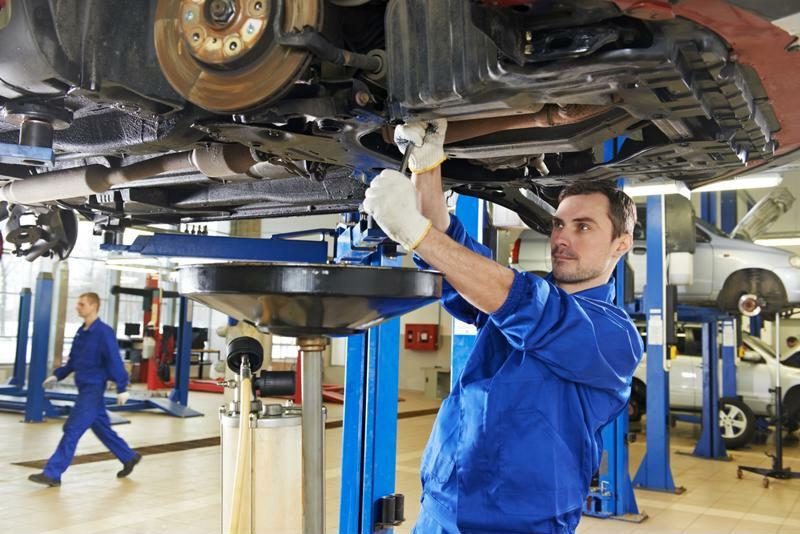 Here are four preventive maintenance measures that you don't have to be a mechanic to know. "The most complicated part of checking your oil is figuring out exactly how often to do so." Checking and changing your oil is a key thing to learn in terms of keeping your car running smoothly. Fortunately, it's also one of the simplest. In fact, one of the most complicated parts of checking your oil is figuring out exactly how often to do so. Ever make and model will be different, but conventional wisdom holds that you should change your oil and oil filter every 2,000 to 3,000 miles if you want to be especially fastidious. Don't worry if that sounds like a lot to you – the Department of Motor Vehicles admitted that you can still drive safely if you change your oil every 5,000 miles. While changing your oil may require a trip to the mechanic, checking it is very simple and should only take you a few minutes once you know what you're doing. If you've ever been driving in the rain and found that your windshield quickly became a nearly opaque smear of wet streaks, chances are your wipers need to be replaced. You may not realize it, but your wiper blades can wear down, making them less effective and even potentially putting you in dangerous situations with reduced visibility. The good news is that wipers are fairly inexpensive, and most people are even comfortable changing them at home. Most modern wiper blades clip directly on to the arm, making for fast and simple snap-together replacement when needed. Checking your tires is a fast and simple process that you should learn right away. 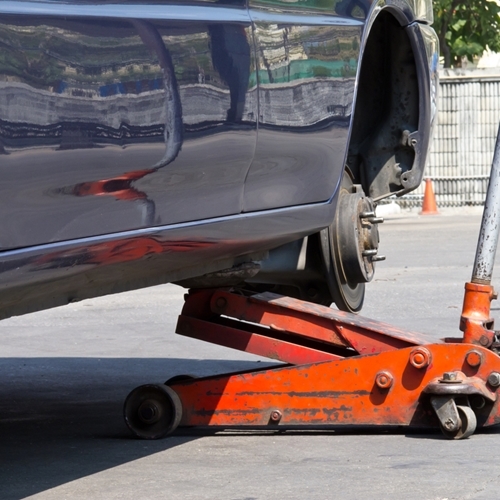 Proper tire maintenance is critical for keeping you safe in your car. These unassuming rubber donuts can affect everything from how well your car handles on the road to what kind of gas mileage you'll get. When it comes to tire maintenance, there are two things you should look at: air pressure and tread. Both can be checked quickly and easily. You should check your tire pressure weekly using a pressure gauge – just make sure you refer to your car's owner's manual to learn what the optimal range is. Underinflated tires can compromise responsiveness and therefore safety, while tires that have too much air in them aren't any better. Overinflated tires can reduce the surface area of the tire that comes into contact with the road, which can limit the control you have over your car and increase the amount of fuel it has to use. First-time car owners or those who are less mechanically inclined may not even know what a spark plug is, let alone how to perform basic maintenance. But it's a critical component of your car's engine, both helping it efficiently burn fuel as well as transferring excess heat away from your engine. While many newer cars have spark plugs made from modern materials that are much more resilient than their older counterparts, cars more than 10 to 15 years old will likely have the copper core variety, which require more regular maintenance. As a general rule, have your spark plugs inspected every 30,000 miles or so. If you aren't comfortable taking on the task of changing them yourself, your local mechanic can quickly do so for you. 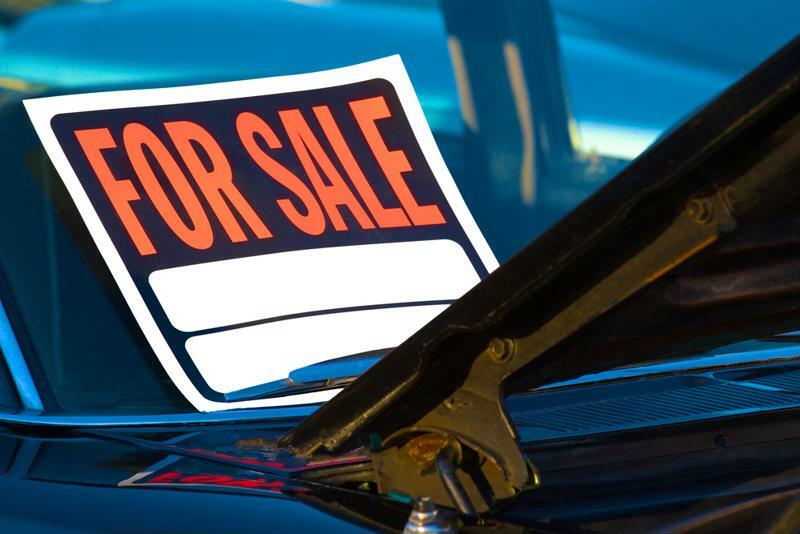 For more tips on buying, repairing and owning a used car, head to www.njstateautoauction.com. Summer is in full swing, and if you haven't planned your seasonal getaway yet, it's high time to start. Fortunately, the Northeastern U.S. doesn't suffer from a shortage of destinations that are scenic, invigorating and exciting. Whether you're a nature-lover looking for a new camping haunt, a foodie on the prowl for some of the best and most well-hidden summer eats or just a traveler with some extra time on your hands and miles on your odometer, you can find what you're looking for in the northeast. If you're suffering from analysis paralysis in terms of choosing your next destination, consider some of these popular choices. Nestled right underneath Massachusetts, this coastal state offers a seaside flair to shop-goers and trendy boutiquers. If you're looking for a road trip that will also let you experience some of the best shopping in the region, head to Greenwich. Here you'll find no shortage of upscale boutiques and eateries. Visitors can find all kinds of epicurean delights along "The Ave," from handcrafted cocktails to specialty teas – perfect for when you need a break from all that shopping. As an added bonus, Greenwich is just a short one-hour drive from New York City, making it a perfect day trip detour while you're visiting the big city. 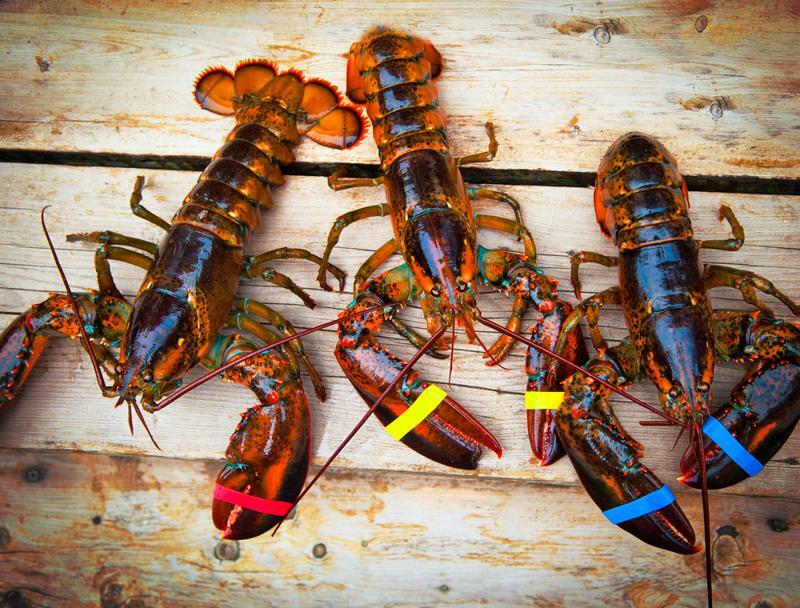 Maine is a Mecca for lobster lovers everywhere. The largest state in New England, Maine is where you should head if you're in the mood for some high-quality, locally sourced eats. The Pine Tree state is famous for its offering of lobster, but even non-seafood lovers will find something to appease their palettes. Fathom Away noted that Rockland is the town to go to if you're interested in farm-fresh food at a much more reasonable price than you'd find in nearby metropolitan areas like New York. Also consider heading down the coast for a beautiful scenic drive through breathtaking farmland. "The New York City arts and entertainment scene is legendary." The Big Apple may be the biggest city in the U.S., but don't let that trick you into thinking that that's all there is to New York. Of course, the New York City arts and entertainment scene is legendary and is sure to appeal to young travelers looking for a big city adventure. Take in a Broadway show and then hit up some of Manhattan's many upscale bars to rub elbows with the upper crust. If city living isn't your thing, head up to the Thousand Islands. This swath of nature in between upstate New York and Canada offers visitors the opportunity to experience nature among the region's eponymous islands. The New York Times reported that travelers can even rent antique wooden boats to explore the islands. The area also hosts its annual boat show every August 1-3, so if you're trying to decide on a time to take your trip, that may influence you. Called the Bay State for good reason, Massachusetts offers a mix of history and easy living. Travelers can walk the streets of downtown Boston, even taking part in one of the "Freedom Walks," hosted by tour guides in period costume, before heading to trendy Newbury St. for some upscale shopping. If kicking back and relaxing is more your thing, one of the state's many capes – including Cape Cod and Provincetown – will be just your ticket. If your road trip plans are being put on hold because you don't have the right vehicle, head to New Jersey State Auto Auction. There you'll find hundreds of Carfax-certified cars on the lot, and a helpful sales and finance staff dedicated to helping you drive away with the pre-owned car of your dreams. Cars help us bring the kids to school, get us to work, allow us to explore the world around us and generally make life easier – but they're also dangerous. As such, it's important to ensure that you and your children are safe in and around them. Whether you're behind the wheel or the car is parked in the driveway, your vehicle can present a threat to your youngsters if you're not careful. Thankfully, staying safe is easy when you know what to look for and what to teach your kids. 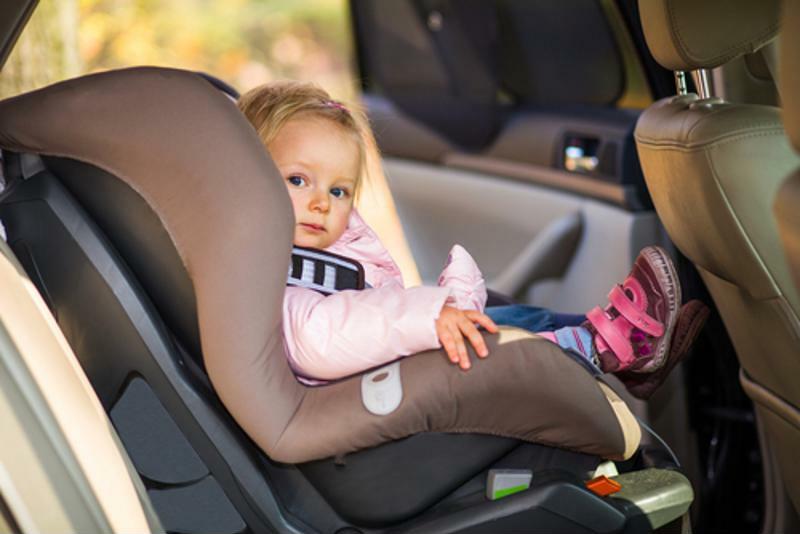 Make sure car seats are being used appropriately: It's common knowledge that infants and toddlers should always be secured in car seats, but it can be harder to remember the rule for when kids are old and big enough to graduate to the next restraint system. The NHTSA's SaferCar.gov has a handy tool that helps you determine which type of car seat, if any, your child needs based on age, weight and height. No matter which restraint system your child is using, it's also imperative to make sure you're buckling him or her in correctly. The NHTSA's National Child Restraint Use Study released this year revealed some of the common errors people make when using car seats. These included loose installation, lap belts positioned incorrectly, unused tether anchors on forward-facing seats and incorrect recline angle on rear-facing seats. Proper car seat etiquette is a must for your child's well-being. Never leave children unattended in a vehicle: This is a smart rule to follow all the time, as countless things could go wrong in this situation. On a hot summer day, a car's interior can reach threatening temperatures in minutes, even if you leave the windows open. The National Highway Traffic Safety Administration stated that a car's interior temperature can climb from 80 to 109 degrees in just 10 to 15 minutes. This can cause heat stroke in youngsters, as well as pets and the elderly, who are less able to regular their body temperatures than adults. Always check the backseat before you lock the car. Keep the car locked at all times: For added safety, make sure your car is always locked so your kids can't get inside it when you're not around. To make sure they can't ever access your vehicle without adult supervision, keep your keys in a place they can't get to, whether it's on a wall hook out of reach, in your pocket or in a drawer they can't get to. You should teach your kids all about car safety too. Find a time to sit down with them and explain these important lessons. Talk to your kids about how they can stay safe around cars. Cars are not toys or playgrounds: Children have wild imaginations and can find a way to make almost anything a toy, including a car. Even though cars may seem like the perfect hiding spot or a great pretend pirate ship, they need to be treated with respect and should not be used for playing, especially when there are no adults around. This includes the interior of the vehicle as well as the space around it. If children need to get a ball from underneath a car or they left a toy in the backseat, they should ask an adult for help. Car seats and seat belts are not so bad: Finding new ways to get your kids into their car seats and seat belts can help avoid countless arguments and tantrums when you're trying to load the family in the car. Telling them why it's important might not work very well, but turning it into a game or a contest could be just what you need. For instance, whoever is strapped in safely first gets to pick the music or play with Mom's smartphone. A reward system might work too. Go with what works best for your family. Don't walk and text: Smartphones, handheld games, tablets and other devices are pretty much glued to people's hands these days. But when you're reading a text or checking on your virtual pet while walking down the street, you're not watching for cars. Remind your kids to tear their eyes away from the screen while walking near roads, especially when they're crossing streets. Keeping these safety tips in mind, and teaching them to your kids, will help your whole family have a safe, fun summer. If your family is getting ready to trade in your current car, you should check out New Jersey State Auto Auction, which has hundreds of used cars available. New inventory is added regularly, so pack up the family and head down to the lot to check out the selection yourselves. Just remember to stay safe! You've scrimped and saved, and you're finally ready to purchase your first car. Congratulations! Vehicle ownership is a huge step. While having your own set of wheels can make your life much more convenient, it also means there are things you have to consider that you may not have given thought to before. If you're even considering buying your own car, you'll need to learn a whole bunch of scary new words like "financing" and "credit check." It's true that getting caught up in red tape can somewhat dampen the thrill of driving away in a car of your very own. But if you keep these tips in mind before you sign on the dotted line, you can drive away from the dealership feeling like an automotive authority. Unless you're paying in cash outright, you're going to need to borrow some money to make your car purchase. Car loans come from banks, and banks rely heavily on your credit history to decide whether and how much to approve you for a loan. If you don't have a credit history, your chances of getting approved for a loan may drop significantly. When you first start thinking about car ownership, building your credit score should be one of your top early-stage priorities. Even if you have exactly zero credit history, you can still work toward building a score with things like a secured credit card, which requires a security deposit in lieu of a credit check. Keep in mind that it can take between six months to a year to build your credit score, so planning ahead is essential. Another option is to have your parents or someone with an established credit history cosign your loan, though that places extra pressure on you to keep up with your payments. Plan carefully when making your budget. If you've been saving up to this point, you're likely no stranger to budgeting. But now that you've got a shiny car in your driveway and a monthly car payment to match, you'll need to reexamine your financial situation. Kelley Blue Book noted that just because a car carries a high sticker price doesn't mean it's unattainable. Similarly, a car with a lower cost may still be out of your range due to larger monthly payments. A good rule of thumb is to plan on spending around $25 a month for every $1,000 you finance if you're on a 48-month repayment plan. If you're financing your car over 60 months, that number shifts slightly to $20 a month per $1,000 borrowed. As a first-time car buyer, chances are you're going to have to make compromises when choosing your vehicle. Your car is first and foremost a tool, and just like any other implement, you need to use the one that fits the job. The dealer may offer you a sweet deal on that little red convertible, but can you picture yourself lugging groceries home in it or enduring a multi-hour road trip to visit your parents? Establishing your specific transportation needs can help you not only choose the right kind of car for you, but also how old or new your chosen model should be. For example, if you plan to use your car primarily to get around town, you should consider a pre-owned model that's a couple of years older, as it's likely to cost much less. Just be sure you look for manufacturer certified pre-owned cars to give you the extra peace of mind. "A car is an investment, and should be treated as such." Just because a car has a given price listed on its sticker doesn't mean that that's what you're going to be paying. In fact, there's a whole statistic that professionals use to measure how much cars actually cost. 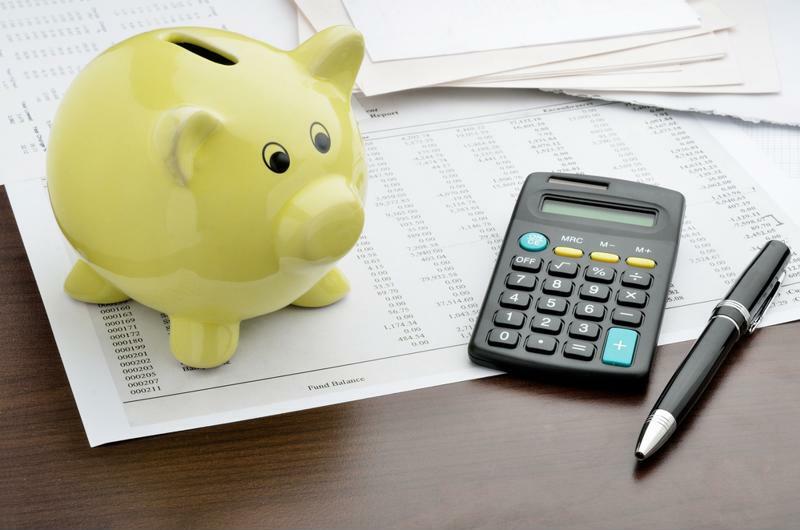 Referred to as total cost of ownership, it takes into account things like maintenance and repair history, gas, insurance and several other factors that can impact how much you end up spending on your car overall. Also keep in mind that not all dealerships are created equal. Excitement is understandable, but don't rush into signing the first contract you're presented with. A car is an investment, and should be treated as such. Do your research online before you start visiting lots. This can tell you useful information such as average value of a car of a given year and model, which can be invaluable when it comes time to negotiate the contract. Having a good idea of what you should be spending on your car based on several corroborated sources can help protect you from overzealous salespeople who may try to take advantage of your neophyte status. If you're in the market for a pre-owned car, head to NJ State Auto Auction. There are hundreds of Carfax-certified vehicles on the lot, and a helpful sales staff ready and willing to work with you to find the perfect used vehicle for your needs. As they say, the best laid plans of mice and men often go awry. No matter how thoroughly you think you've prepared, there's always the chance that you'll encounter an emergency or other unexpected hiccup while you're on the road. Roadside vehicle-related emergencies can be particularly stressful since there's really never an opportune time for them to happen. Often, even if you have a cellphone, you may be miles away from the nearest service station. But never fear – with a little planning, it's possible to meet any unforeseen situation head-on to minimize stress and maximize safety. Even though your car is a machine, it still talks to you, and it can provide you with useful information if you pay attention. In fact, there's a whole host of things your car can communicate just on the dashboard in the form of warning lights. Everyone's encountered at least a few of these over the years, from the engine radiator light to the ubiquitous and mysterious check engine light. In an emergency situation, being able to read and interpret these beacons can be a huge help. For example, when the low oil pressure light or high temperature indicator go on, these are signs to immediately stop driving and have your car towed to a service center. Driving a car that has low oil pressure or is overheated can both utterly ruin your engine. On the other hand, the check engine light or SRS/airbag indicators mean that while there are issues that need to be brought to your attention, they don't need to be urgently addressed. Have an emergency kit with you in your car at all times. Former Boy Scouts are doubtless well aware of the organization's age-old motto. You can apply that thinking to your daily life even today by putting together an emergency kit to keep in your car. Of course, you don't need to throw everything and the kitchen sink into your emergency kit, but it's important to have a few basics on hand. Try to keep a flashlight, a blanket, a spare tire, jumper cables and, of course, a cellphone in your car with you at all times. It goes without saying that a roadside emergency can be dangerous, especially on a highway or busy street. If possible, make your way to the shoulder of the road to wait for help. Give yourself a wide berth with cones or reflective pylons if you have them. This is especially important at night when visibility is even lower than normal, or in poor weather when drivers may need additional space and time to slow or stop safely. Consumer Reports recommended placing such items as far behind your car as possible to maximize your visibility and to give motorists enough time to react appropriately. "Getting out of your car can put you and other motorists in immediate danger." 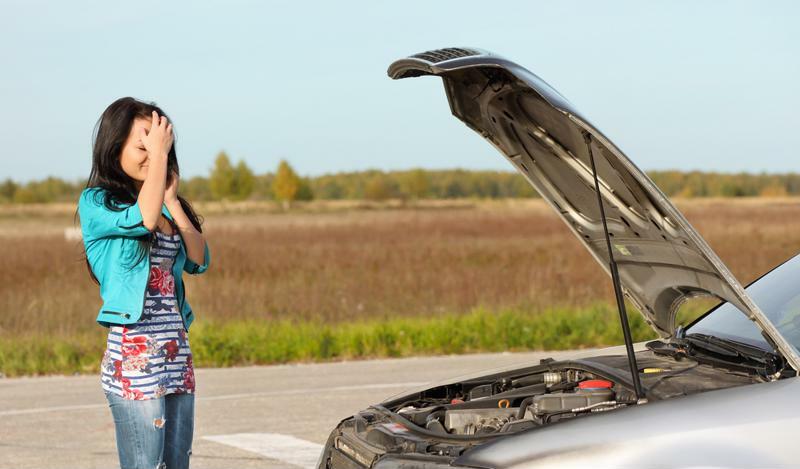 Roadside emergencies are stressful, and you may be tempted to get out of your car to seek help, flag down a passing motorist or even just stretch your legs. However, resist this urge if possible. Especially if you're broken down on a highway or busy roadway, getting out of your car can put you and other motorists in immediate danger. If you have a cellphone, make a call to your roadside assistance agency or a local repair shop, then wait with your doors locked for help to arrive. If you got caught without a phone, place flares and reflective triangles around your vehicle to alert other drivers that you need help, then get back in your car. Be very wary about unlocking your doors and accepting help from anyone you don't know. If possible, only respond to emergency personnel or service agents. If you're in the market for a used car, chances are you've heard the phrase "certified pre-owned" while you've been doing your research. This is the term used to describe used cars that are backed by a guarantee from the manufacturer and the dealer, which is designed to give consumers additional peace of mind when buying used. But for the uninitiated, navigating the world of certified pre-owned cars and all the implications thereof can be overwhelming. Nobody wants to get burned by a bad decision made from incomplete information. What's really important about buying certified and what do you need to know before you sign on the dotted line? Here are a few things to keep in mind the next time you're at the dealership. "When you consider the benefits that certified cars come with you're likely saving money in the long run." 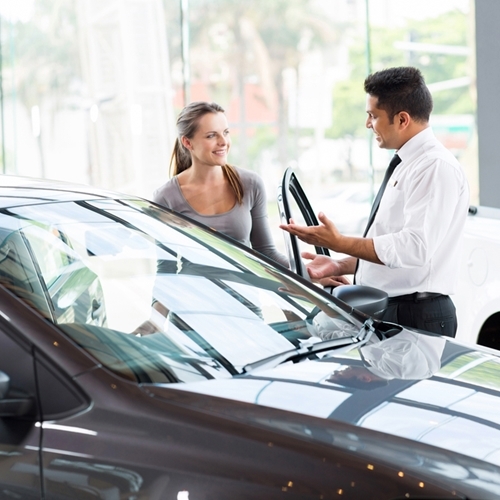 One thing that may turn prospective buyers off from purchasing a certified pre-owned vehicle is the additional up-front cost usually associated with such a car. While it's true that you are likely to spend more on the day of your purchase buying a certified used car than one without that guarantee, the overall benefit far outweighs the initial investment. In fact, according to CBS News, a survey that looked at 3.5 million certified used cars sold in 2014 and 2015 found that on average, buyers only paid around $722 more than they would have on cars without certification. When you consider the benefits that certified cars come with – such as extended manufacturer's warranty and a multiple-point inspection before the point of sale – you're likely saving money in the long run. While certified pre-owned vehicles are becoming more popular, it's important to note that not all cars that bear the title carry the same guarantees. There's a big difference, for example, between a manufacturer-certified car and a dealer-certified one. In general, the former is what you should be looking for, as the extended warranty is typically more extensive. But how can you tell the difference, especially when dealers aren't advertising it themselves? According to Edmunds, the rule of thumb is this: You can only buy manufacturer-certified vehicles from a manufacturer's franchised dealer. In other words, if you can't buy new models from the dealer, you likely won't be able to find a manufacturer-certified pre-owned vehicle either. Buying certified is a great way to get the additional peace of mind that can help you feel confident in your used car purchase. But don't let that seal of approval lull you into a false sense of security. Yes, certified pre-owned vehicles undergo significant inspections before they're sold, but that doesn't mean that they're going to be free of problems. In fact, it may not be a bad idea to have a third-party inspection performed before signing on the dotted line. After all, there's nothing wrong with getting a second opinion, especially with a major purchase like a car that will hopefully be with you for years. 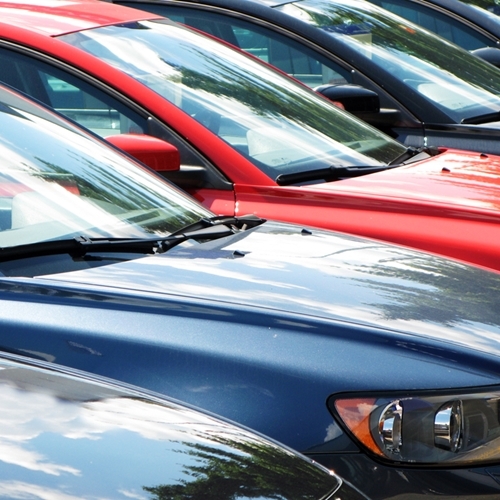 If you're shopping for a used car, head over to NJ State Auto Auction. There are hundreds of Carfax-certified vehicles available to choose from, giving you the peace of mind that you're making a sound investment in whatever vehicle you choose. Summer and road trips go hand-in-hand for many. The season is synonymous with freedom, the open road and good times spent with even better friends. 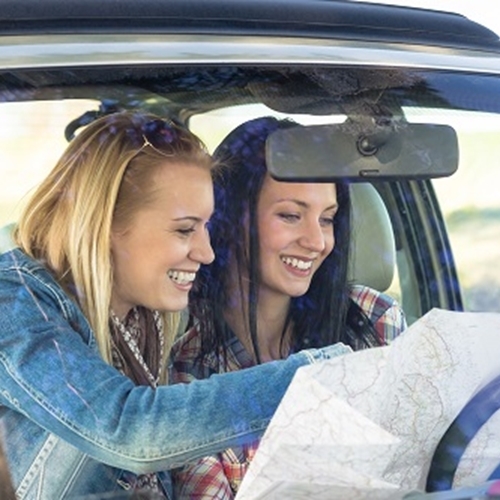 Whether you plan out your itinerary stop-by-stop or decide that you're just going to hit the pavement and drive, road trippers have to prepare for spending a lot of time in their cars this season. With this in mind, it's important to keep your car not just comfortable, but safe as well. There are a number of car-related hazards you may face, both on the road and elsewhere, that you should be aware of before you get going. Here are a few things to keep in mind this summer to keep everyone safe, happy and comfortable on your big trip. Get your car inspected before heading out on any major road trips. It goes without saying that keeping your car in tip-top shape should be the No. 1 priority for anyone considering a road trip. This isn't just a last-minute process, either – you should be staying on top of your car's maintenance schedule year-round. After all, it's far easier and cheaper to take a preventive approach to car maintenance rather than a reactive one. This is particularly important for used cars that have more miles on them than newer models. Be sure to hit all the basics: check your oil, have your tires rotated, check your tires' air pressure and stay current with your tune ups. It's also helpful to schedule a performance check-up with your mechanic before your scheduled departure so you can catch any potential issues before they turn into significant problems. "It takes just three minutes for a car to heat from 78 degrees to over 100 degrees." Sadly, kids and pets still get left in hot cars during the summer months far more often than they should be. This is due largely to people not being aware of how dangerous excessive heat can be for those stuck inside a car. According to Titan Insurance, it takes just three minutes in the sun for a car to heat from 78 degrees to over 100 degrees, which can seriously endanger children and pets alike. Whether you're running errands around town or hitting the road for a long trip, don't bring along your kids or pets if you can't bring them with you when you arrive at your destination. You can make this easier by frequenting businesses that offer drive-through services rather than making you go inside. Opening your car's back door whenever you park is a good habit to get into, as that ensures you aren't leaving anyone behind. Extreme summer heat can pose problems for cars that can lead to dangerous situations while driving. For example, your car's interior can heat up even as you drive if it's in direct sunlight. Try to mitigate the excessive heat in your car by parking in the shade or using a removable screen in your windshield when you park to prevent too much sun from beating in. In addition to staying cool yourself, it's also important to keep your engine temperature under control. It's easy for a radiator to overheat in the hot sun, which can leave you in a pickle quickly. You should regularly check your car's coolant, as well as its belts, fans and grille, to keep things under the hood as cool as possible. If you notice that any plastic or rubber components have melted or warped due to the heat, replace them immediately before they become a greater problem down the road. If you're looking for the perfect used vehicle for your summer road trip, head over to New Jersey State Auto Auction. There are hundreds of Carfax-certified vehicles on the lot and a helpful staff ready to assist you with finding the perfect car for your needs.